Principles for a godly home! The Spirit-Filled Family will take you on a journey of discovering the clear guidelines God has gived us for creating a happy home. By examining God's biblical blueprint for a dynamic and vital Christian family, you will discover the importance of each person's God-given place in your family circle. By exploring how to relate to one another in ways that are enriching, fulfilling, and purposeful, you will learn how to nuture your relationships through love, forgiveness, and practical faith. Great for individual or group study, The Spirit-Filled Family will help you establish, cultivate, and prosper your family- God's way. Spirit-Filled Life® Study Guides are perfect companions to the New Spirit-Filled Life® Study Bible, or for use on their own. Each guide offers focused insights into specific issues or principles of Spirit-empowered living. The guides' interactive approach offer an indepth look at practical living in God's kingdom and challengers users to examine and live their daily lives in light of God's Word. 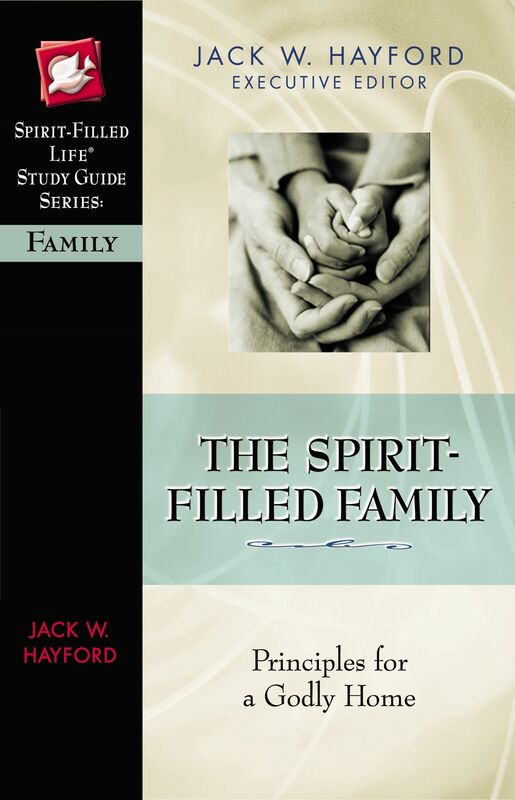 The Spirit-Filled Family: Princiles for a Godly Home by Rebecca Hayford Bauer was published by Thomas Nelson in January 2001 and is our 39544th best seller. The ISBN for The Spirit-Filled Family: Princiles for a Godly Home is 9780785249894. Be the first to review The Spirit-Filled Family: Princiles for a Godly Home! Got a question? No problem! Just click here to ask us about The Spirit-Filled Family: Princiles for a Godly Home.